From girly accessories to dapper bow ties , they have it all. 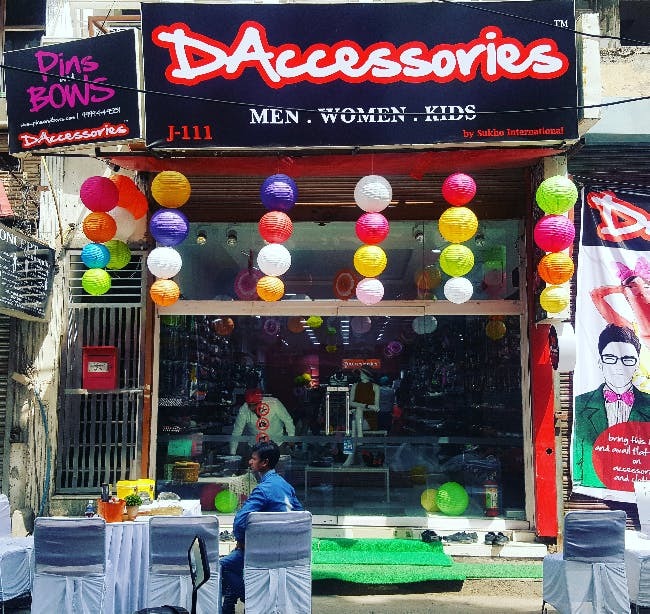 DAccessories in Rajouri Garden has good quality accessories, helpful staff and provide great service. Some things are a bit pricey but dig deeper and you'll find great stuff that won't burn a hole in your pocket. Give time to the collection, take a good look at everything before rushing into the one thing you spend your money on. Take help from the staff they are very helpful. It's open on all 7 days. Wednesday is a good time to visit as the market is closed on that day. You need a decent budget to go there.